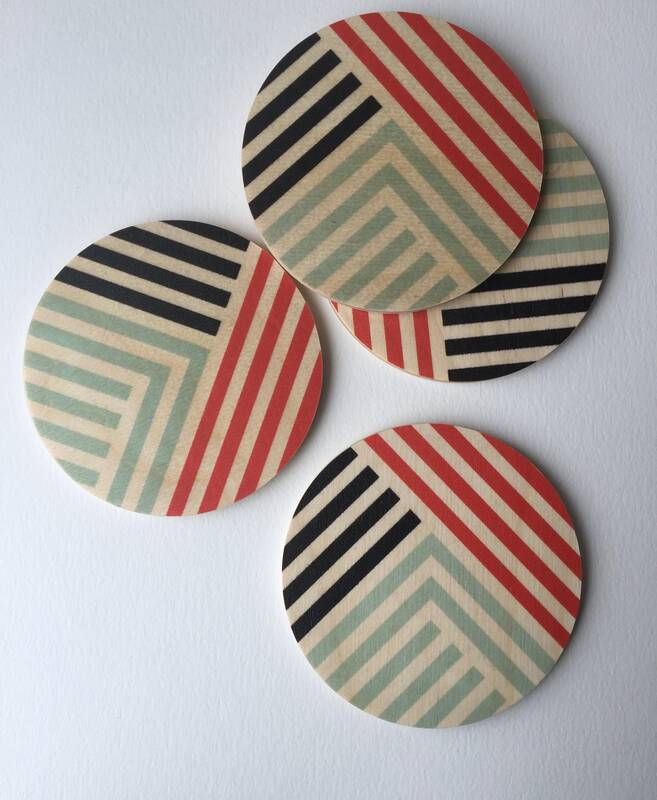 Set of four geometric wood coasters printed with our "LINES" design. 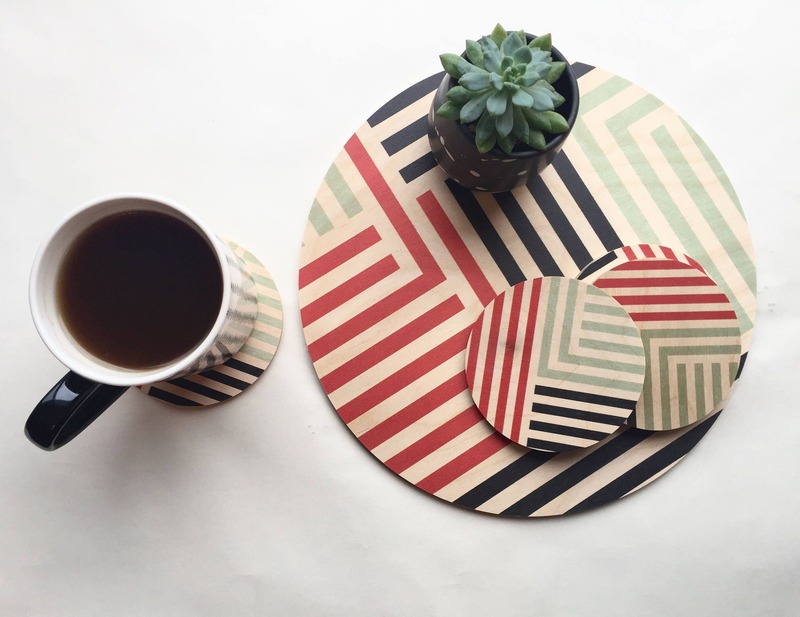 This set adds a fun and modern element to any table top with a playful Scandinavian Modern touch. 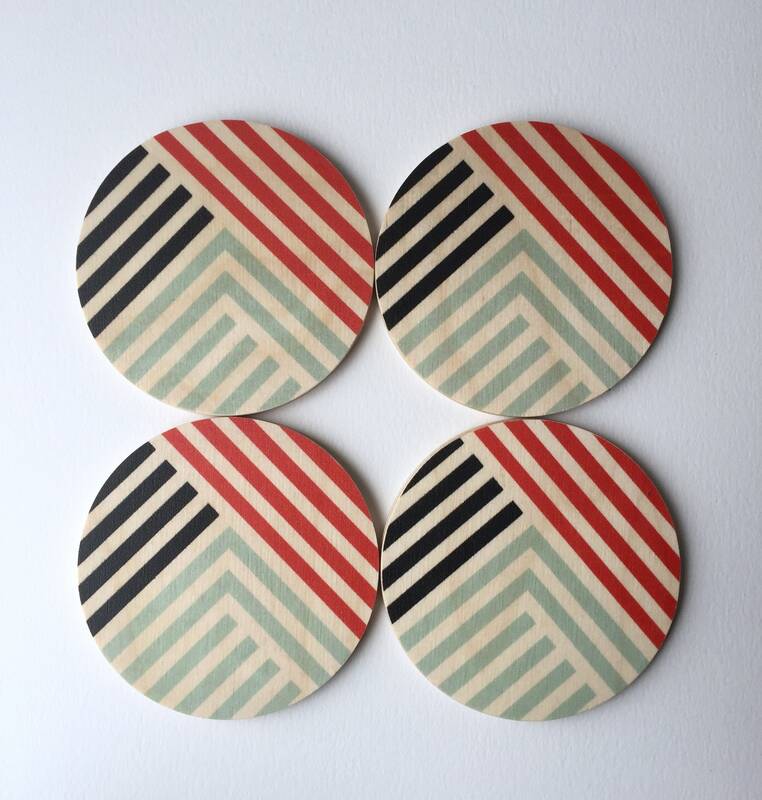 Our coasters and their coordinating trivets make great gifts on their own or as a set for a hostess gift or housewarming gift. 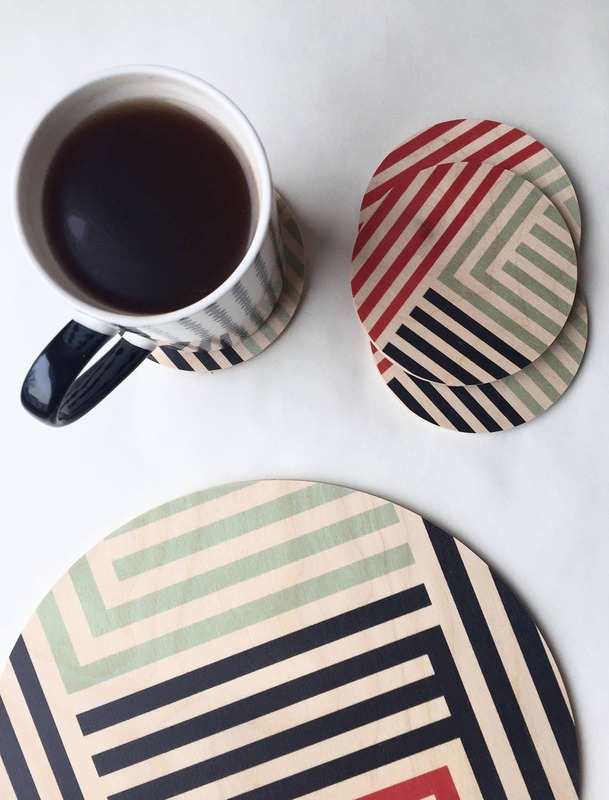 Thoughtfully designed to be super functional; Our coasters can take the heat of very hot beverages or the condensation from cold drinks. 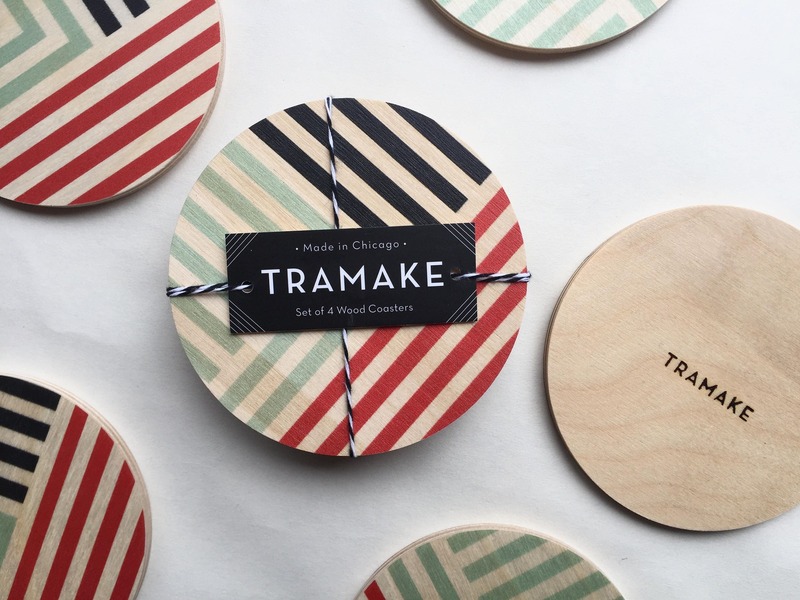 Protecting your furniture more than most other coaster concepts. 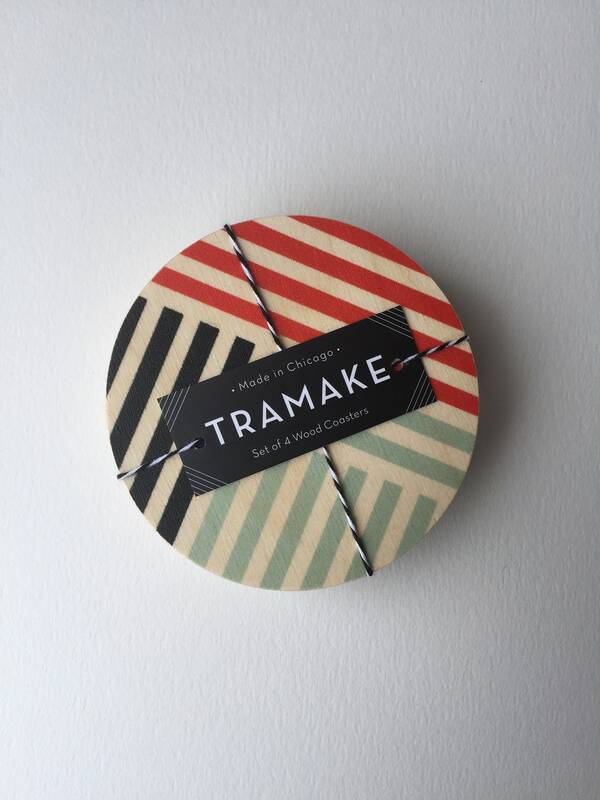 Our inks are permanently printed on to the wood and will hold up to daily use. Our digital inks are UV cured which means they will never fade and never run. No cork on bottom. Our wood is sanded super smooth and will not scratch. Care: pat dry after use, wipe clean, never submerge - for use holding dishes from up to a 400*F oven. Arrives lightly coated with mineral oil (cutting board or salad bowl oil) a food safe oil that conditions the wood. If desired, periodically re-apply your preferred oil to keep the finish fresh and moisture repellant. 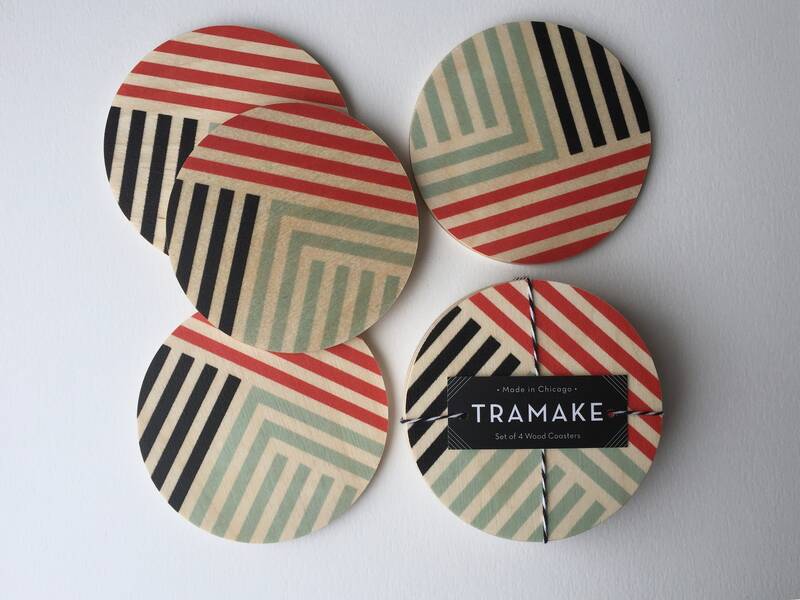 Gorgeous coasters! I hope to order more in the future.